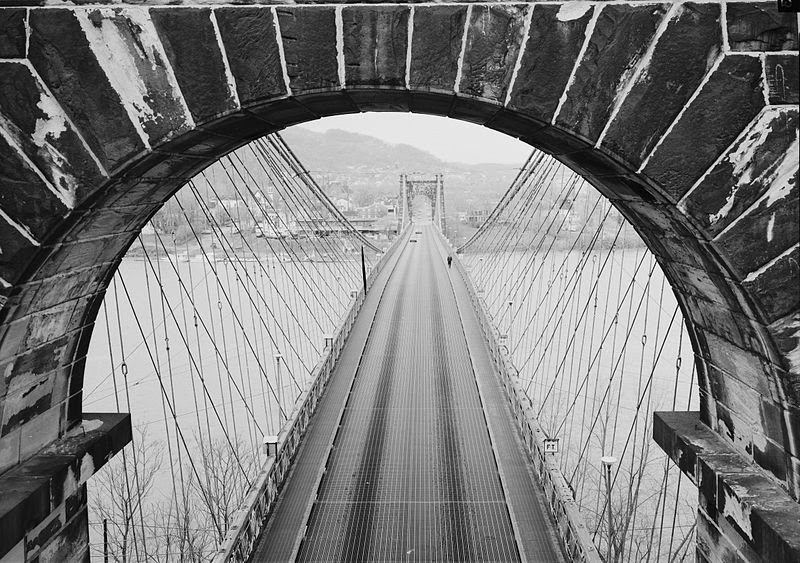 The Wheeling Suspension Bridge has been a part of the city of Wheeling since 1836. The first bridge to span the Ohio River, it is the oldest operating suspension bridge in the world. Wheeling and the National Road is home to one of the greatest engineering achievements in American History. The nearly 170-year-old Wheeling Suspension Bridge is the oldest operating suspension bridge in the world. The bridge was the first to span a main channel of the Ohio River. In 1836, a two span covered bridge opened over the back channel of the Ohio in Wheeling. This bridge crossed at the site of an 1893 truss and modern day bridge that carries Route 40 over the back channel to this day! The historic Wheeling Suspension Bridge took three years to complete and began its journey as a toll bridge. The main span is 1,010 feet (310 m) from tower to tower. The east tower rests on the Wheeling shore, while the west tower is on Wheeling Island. The east tower is 153.5 feet (46.8 m) above the low-water level of the river, or 82 feet (25 m) from the base of the masonry. The west tower is 132.75 feet (40.46 m) above low water, with 69 feet (21 m) of masonry. 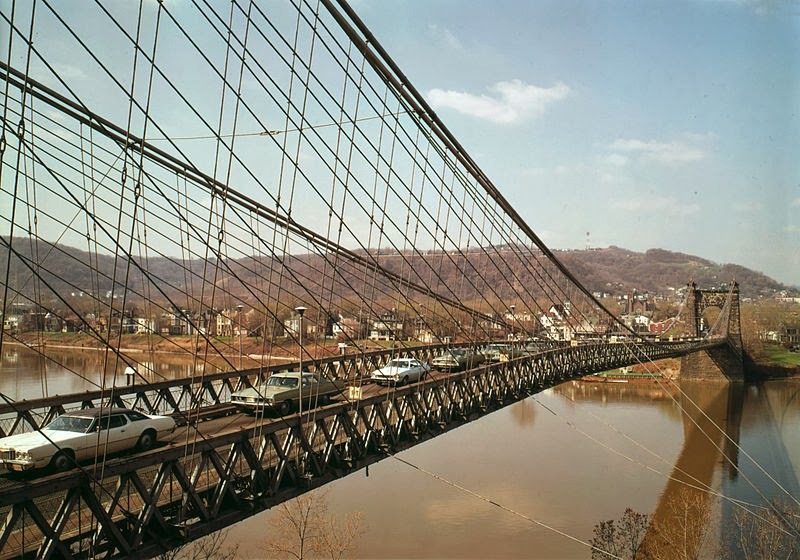 The Wheeling Suspension Bridge was designated a National Historic Landmark on May 15, 1975. It is located in the Wheeling Island Historic District. Charles Ellet proposed the design of the Wheeling Suspension Bridge and made what many at that time thought to be impossible, possible. The 1,010 foot suspension bridge opened in 1849 and has had different renovations throughout the years, but it is still running strong. From its beginning in 1849, the Wheeling Suspension Bridge was known as The Gateway to the West, a name that still applies in 2014. Since 1849, the Wheeling Suspension Bridge has been a pathway across the Ohio River for countless passengers and freight. 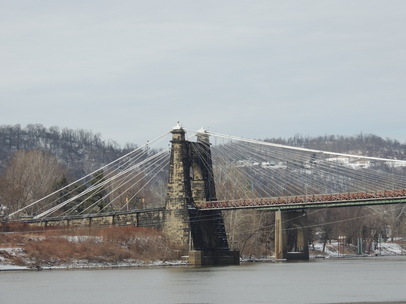 As the oldest suspension bridge still in use in the world, the bridge continues to span the Ohio River in 2014. WHEELING HERITAGE PORT: A river-side site for festivals, entertainment or just a walk along the riverfront in Wheeling, WV. WHEELING, WV–Wheeling Heritage Port serves many purposes for the Wheeling area. It is a peaceful park in which to relax with a great view of the Ohio River. Wheeling Heritage Port is also a popular place for festivals, concerts, movie nights and Waterfront Wednesdays. WHEELING HERITAGE PORT: Located on the Ohio River at Wheeling, WV. 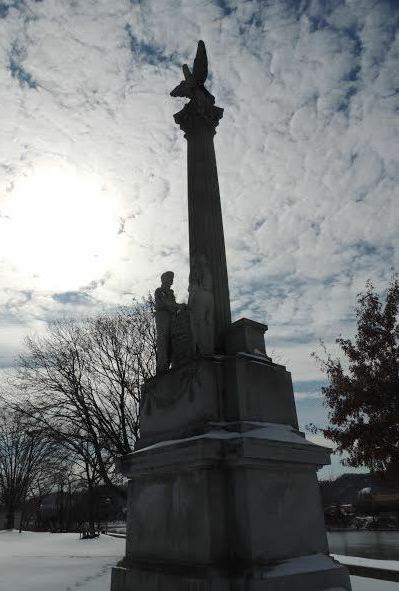 Heritage Port is site of a monument honoring Augustus Pollack, who was a business owner in the late 19th century who supported organized labor. The monument to Pollock was erected by labor unions to honor the businessman/employer who was sympathetic to their causes. 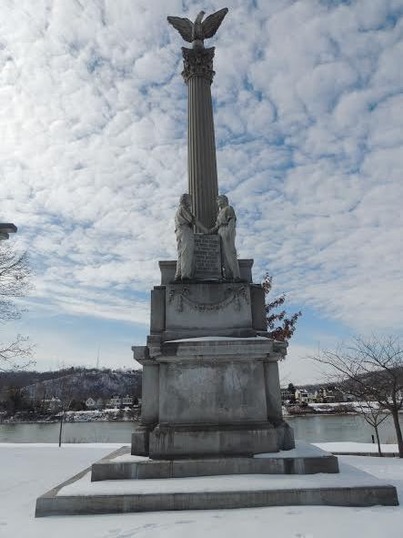 It is located at Heritage Port on Main Street in Wheeling, West Virginia. 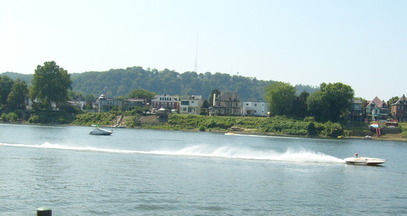 WHEELING HERITAGE PORT: Site of the annual Vintage Raceboat Regatta. The riverfront park is also the home of the annual Wheeling Vintage Raceboat Regatta. 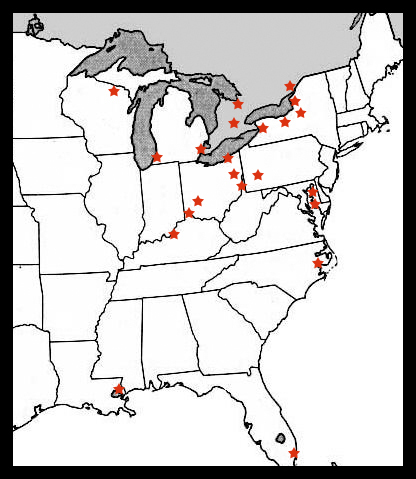 Boats from throughout the entire eastern USA travel to Wheeling for the Regatta. The 9th edition of the Regatta begins on Friday, August 29, 2014 and will help kick off the Labor Day weekend. Heritage Port is also the home of the Wheeling Music Bluesfest. The 2014 festival will feature such acts as Joan Osborne and Dr. John.